Despite its name, the Australian Shepherd actually originated in the US, being bred as a ranch dog in the 1800’s. Aussie’s are trainable, active working dogs who need a job to do and lots of exercise. They are obedient, intelligent and make great partners for agility, flyball or various working roles in farm life. The Aussie is an excellent jumper, so high fences are needed. 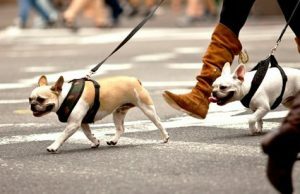 You will also need a big backyard and to budget for 2-3 hours of exercise per day to keep your dog busy. Who is an Australian Shepherd Looking For? I would love to live with an active family or single who has time to take me everywhere, train me and spend time doing agility, flyball, Frisbee or obedience work. Please don’t leave me alone and bored, as I don’t cope well if my mind and body is not kept busy. Loyal. 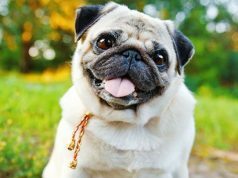 This breed will often bond very closely to one person in the family and be extremely loyal. 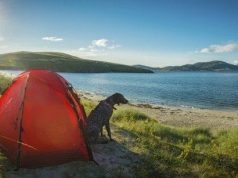 This can translate to a dog that is not suited to long periods of being alone and perhaps even a bit snappy if not socialized appropriately. Intelligent. These intelligent dogs are very trainable and need at least 2 hours a day of exercise and training when young and continuing on into adult-hood. Without mental stimulation and training they become easily bored and sometimes destructive. Excitable. This is definitely a fun-loving breed. They love to play and are high energy dogs that rely on getting lots of exercise and mental stimulation. They are often very boisterous dogs if not given limits and love people and other dogs. This active breed needs lots of work, energy and time and definitely requires a job to do. Mental stimulation involving training, puzzles and games is essential to avoid your Aussie developing behavior problems. The Aussie is a hairy beast that requires lots of brushing and will still leave your house covered in hair. During the change of season the dense undercoat will need to be thinned out with daily brushing. Otherwise every few days a good brush will help to avoid matts. Be wary that Aussies are best suited to colder climates, rather than hot areas. Aussies love family life, but their boisterous nature can be too much for young children. They have a strong prey drive, herding instinct and love to chase, so should be avoided around cats and smaller pets. They love to play, so having another dog can be a great outlet and keep them busy during the day. Australian Shepherds are at their best in multi-dog households. 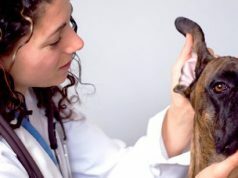 This breed is prone to a number of health conditions and due to their active lifestyle they often end up at the vet with injuries of various kinds. Pet insurance is recommended. MDR1 defect. 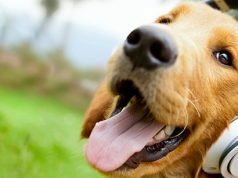 Some breeds have a faulty gene that means they are sensitive to certain drugs such as ivermectin –type heartwormers (including moxidectin, selamectin and doramectin), loperamide (for diarrhea), acepromazine (for sedation) and butorphanol (for pain relief), as well as some chemotherapeutic drugs. The faulty blood brain barrier means that these medications can affect the brain and cause neurological signs. Hip Displaysia. 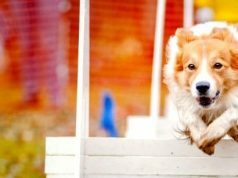 Many breeds are prone to hip dysplasia, and while more breeders are hip scoring in an attempt to breed out this devastating disease, in some cases it can still occur, particularly with overfeeding at a young age. Auto-immune diseases. 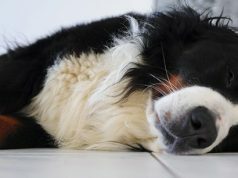 Generally these are more common in Aussies, including thyroiditis, Addison’s disease, degenerative myelopathy, exocrine pancreatic insufficiency, glomerulonephritis, idiopathic thrombycytopaenia, immune mediated haemolytic anaemia, inflammatory bowel disease, Leg-Calve-Perthes Disease, Lupus, myasthenia gravis, pemphigus, puppy strangles, sterile granuloma, uveodermatological syndrome and vitiligo. Elbow Dysplasia. This common cause of fore-limb lameness occurs in many large breeds and is caused by several possible defects, including osteochondrosis and an incongruous growth rate between the radius and ulnar of the fore-arm. 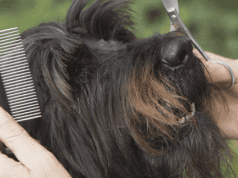 This disorder is another reason not to overfeed a growing dog. Epilepsy. Epilepsy in dogs is similar to the condition in humans, where an abnormality in the brain leads to muscle spasms and shaking. In true epilepsy there is no underlying identifiable cause. Seizures in dogs are often well controlled with daily medication. Breeders have a number DNA tests at their disposal to check for the Multi Drug Resistance Gene, hereditary cataracts, Pelger Huet Anomaly, Collie Eye Anomaly and Progressive Rod Cone Degeneration (another eye disease), so check which testing your breeder uses. Breeders should also be checking their breeding animals for elbow and hip dysplasia. Due to the double merle or ‘lethal white’ gene being passed on from two merle parents and leading to a very high chance of vision and hearing problems, be wary of buying a rare white Aussie. 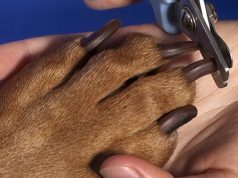 Ask your vet to regularly check your dog’s hips, eyes and heart during your 6 monthly check-ups. Also avoid weight gain and overfeeding during the growth period. If your dog carries the MDR1 gene (which can be tested for) you will need to bring it to the attention of your vet, so certain medications can be avoided. Some of the medications are okay at standard doses, but all have alternatives so should generally be avoided just to be safe. Despite the name, Australian Shepherds are most likely originally based on Spanish dogs and were purpose bred in the Western US to work on ranches and as sheep herders. They were also used to guard stock, so they do have an impressive guarding instinct. The name Australian Shepherd may have originated from an association with Australian sheep. The Aussie has also been known by names as diverse as Spanish Shepherd, Pastor Dog, Bob-tail, Californian Shepherd and New Mexican Shepherd. Many Aussies have natural ‘bob’ tails that are around 10cm long. 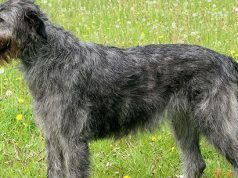 The breed was in some cases docked to achieve this length, but this practice has been banned in many European countries and Australia. The ‘lethal white’ gene that results in hearing and vision defects is not actually lethal, but is called so because white Aussies are often euthanased by breeders due to their risk of passing on defective genes or developing hearing and vision problems. Petfinder lists all types of dogs who need homes, both purebred and mixed breeds, adults and puppies. The ASPCA often has Aussies for adoption, just do an advanced search on their adoption page. Next articleIs a Ferret the Right Pet For You? Choosing the right dog equipment will help ensure you have a happy and healthy pet. Start by getting the right advice from the team at VetBabble.